After a severe thunderstorm with high winds and gusts as high as 80 mph ripped through Manistee, Mich., and tore the roof off the warehouse of shrink-wrap supplier Dr. Shrink, employees pulled out shrink-wrap and heat tools and created a temporary roof. 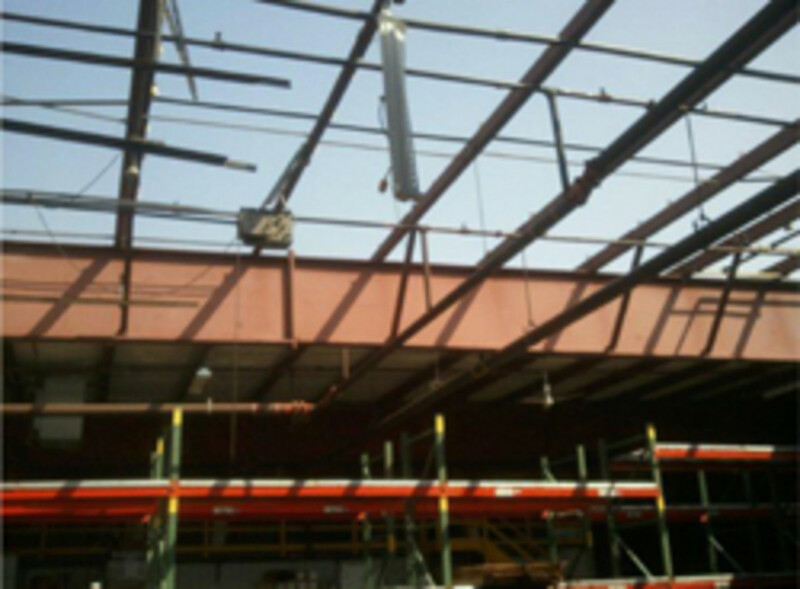 "After a damaging storm hit our warehouse the Dr. Shrink team took a very bad situation and turned it around in under 10 hours. I was in China as the situation occurred and communicated by phone and text messaging to see how they handled the recovery," CEO Mike Stenberg said in a statement. "I am very impressed that our warehouse was totally enclosed in just a few hours and without interrupting our customer service at all." With local roofing companies already overwhelmed with repairs for the several other buildings in the area damaged or destroyed, the company took matters into its own hands. Using a 50-foot-by-100-foot, 9-mil roll and 2-by-4-foot boards, Dr. Shrink&apos;s staff covered about 3,000 square feet of its damaged warehouse. "Shrink-wrap was instrumental in making our warehouse totally weather-tight in such a short time," Stenberg said. "This gives us a better ability to help other companies and individuals protect their damaged structures after storms, earthquakes or tornados." Complete roofing repairs will take a few weeks to be finalized, but Dr. Shrink will continue to provide customer service and deliveries as usual, the company said.